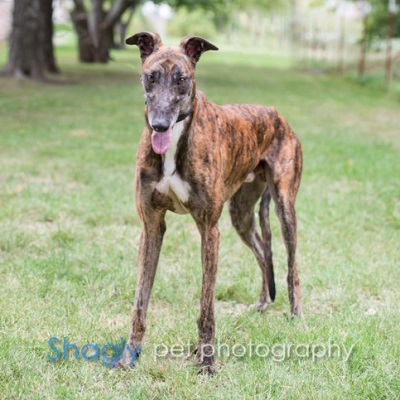 Flyball, aka SL Flyball, is a 4 year old brindle male born May 1, 2013. His sire is LS Jack Williams and his dam is ML Fancy. 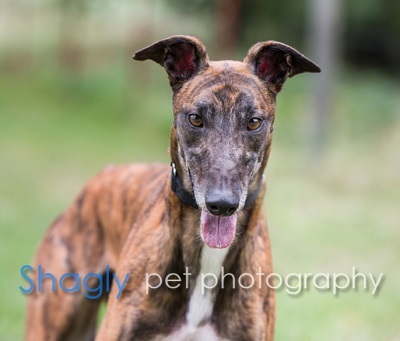 Flyball ran 126 races during his career starting in January, 2015 at Melbourne Greyhound Park in FL; he also raced at Ebro Greyhound Park, Sarasota Kennel Club and Tucson Greyhound Park before his grand finale at Mobile Greyhound Park in AL on April 15, 2017. The only race Flyball will run now is straight to his family’s hearts and couches. Flyball is cat and small animal tolerant.